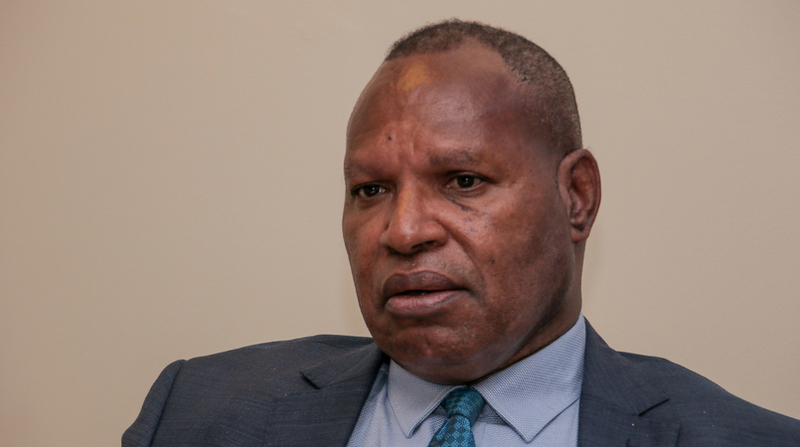 Prime Minister Peter O’Neill told Parliament yesterday that the Morobe provincial government demand for K400-K500 million in affidavits filed in a court application against the developer of Wafi-Golpu mine project and the State is unreasonable. 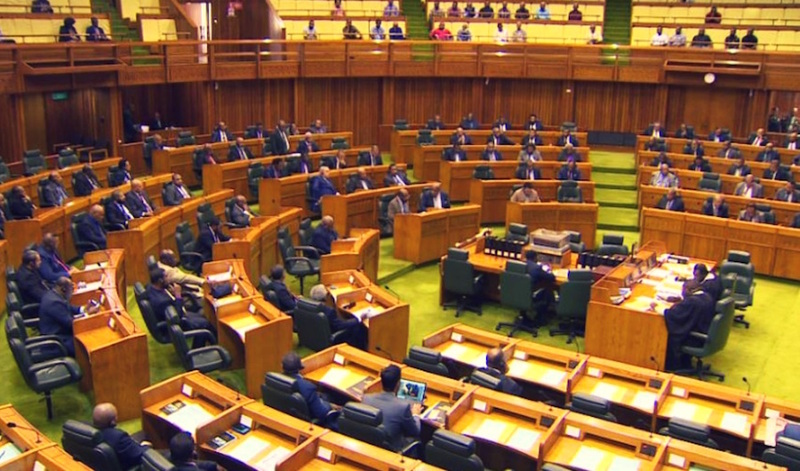 Mr O’Neill was responding to questions from Member for Markham Koni Iguan on the importance of Papua LNG and Wafi-Golpu mine in the country, the recent shutdown of operations and the court application filed by Morobe provincial government. He said the court application by the provincial government was within its rights to take the State and developer and all the other stakeholders to court. “But some of the affidavit that have been put forward in court are quite alarming, particularly demanding large sums of money to carry out some of the landowner forums and discussions that is going to take place,” Mr O’Neill said. Mr O’Neill said the MOU signed between the government and developers of Wafi-Golpu was just an understanding that would pave the way for talks between landowners and provincial governments and all stakeholders on benefits like local content and other benefits. Ummm… “The best resource project that I have seen in my lifetime is the Bougainville copper mining project”. National Planning Richard Maru has come out publicly to support the stance taken by the Morobe provincial government to oppose ‘fly in fly out’ arrangement for workers of the Wafi-Golpu project. 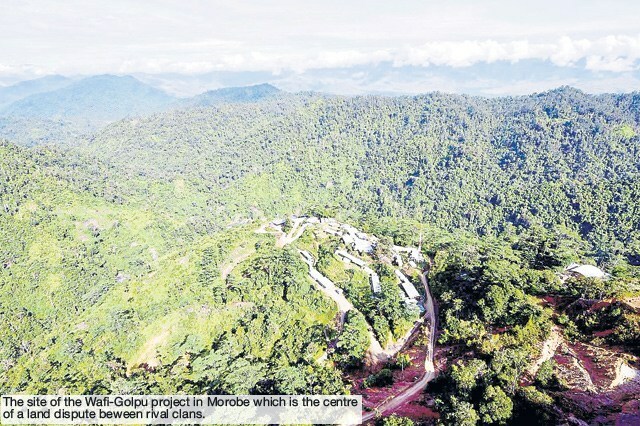 This is the first time a very senior member of Government has come out on the issue that has been a critical mainstay of discussions and forums by landowners and leaders alike in the Morobe province. Minister Maru said if there was one thing that his government was taking away from mineral development, it was learning from previous Governments mistakes to not getting the best deal for the country. 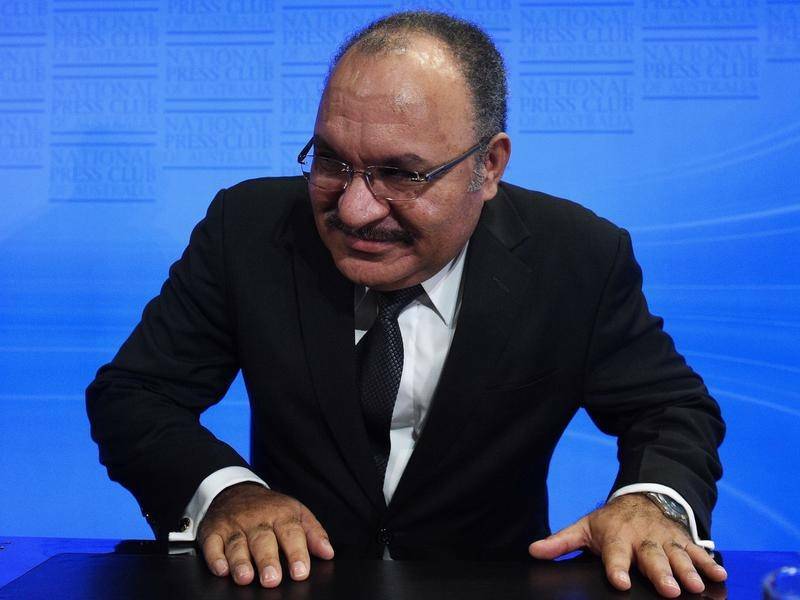 “In this new deals that we want to put together for this country, under the new mining agreement for Wafi Golpu and Freida and even the second LNG project we are going to make sure that Papua New Guinea benefits more than any other resource projects in the past. “I want place on record, this morning (yesterday) that I support the position taken by the Governor of Morobe and the people of Morobe that there will be no fly in fly out in the Wafi Golpu project. “As planning minister we are already planning for a township at Nadzap and long term employees for Wafi-Golpu as far as I am concerned must live in Morobe and the income they generate must be used in Papua New Guinea, spent in Papua New Guinea, so we get back GST and the money must re-circulate within our economy,” Minister Maru said yesterday. He said the situation where all resources are being depleted, all the monies end up in other countries all contribute to current issues being such as foreign currency shortages. “As planning minister I do not support that, I want to see maximum benefit, families living here better, schools being built with the support of the resource companies, better towns being built. “I want to say this and I make no apology to anyone. The best resource project that I have seen in my lifetime is the Bougainville copper mining project. He said the model of BCL is need in the country. 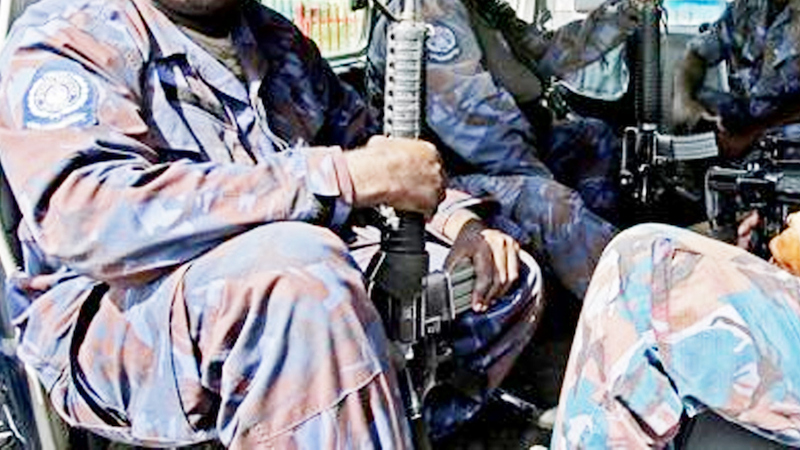 A SECTION of the police Mobile Squad 15 in Morobe has been deployed since last Friday to monitor the situation at Wafi-Golpu mine, Morobe police commander Alex N’Drasal says. N’Drasal said yesterday that the situation was still tense and police were there to make sure law and order problems and other issues did not get out of hand. Police were deployed after a stop-work notice was put out by some people claiming to be landowners of the mine. Employees have not been turning up to work since. N’Drasal said police would be there at the mine stir until the situation was under control and normalcy restored. “Police are also there to make sure that properties are not damaged and workers are not disturbed or harassed,” he said. N’Drasal said on Monday that two opposition clans fought each other after one group tried to burn a stop-work banner that was placed by the other last Friday. “It appears that all the oil, gas, mining and fishing projects happening around the country are faced with such problems,” N’Drasal said. He said all the members of parliament, leaders and representatives in Morobe should work together to address the issue. N’Drasal said the Government had to be very careful when making decisions in relation to such impact projects, because when not careful, such problems arise. MOROBE Governor Ginson Saonu has warned landowners who forced the suspension of the Wafi-Golpu mining project development not to damage properties or hurt the workers. 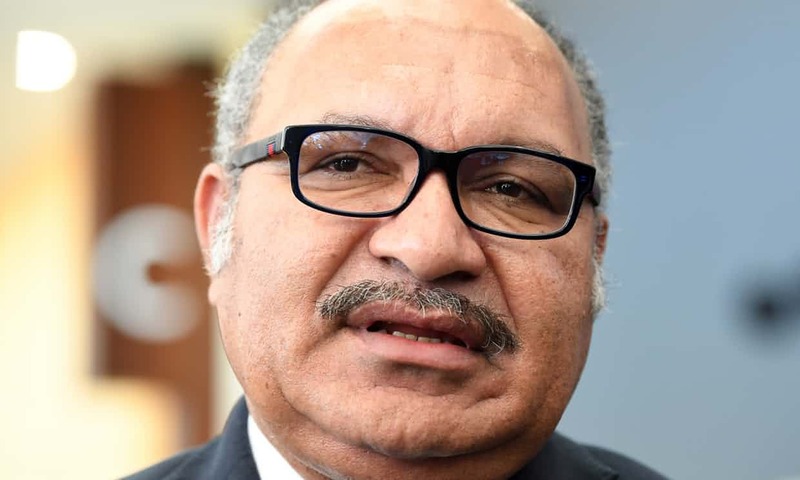 Workers were forced to leave last Friday by the group of people who wanted a list of demands they had sent to the chief executives of developers Harmony Gold Ltd and Newcrest Mining Ltd, and Prime Minister Peter O’Neill, met. Spokesman John Nema said the project would be closed for an indefinite period. “We will not allow the developer to commence any operation on our customary land if any of our demands are overlooked,” he said. Saonu said the provincial government had wanted to have a proper memorandum of understanding drawn up involving all parties. “The mine should be open and the workers should feel free to move around,” he said. Saonu said he recently visited the people of Hengambu, Babuaf and Yanta to gauge their views on the development. “There was no intention to shut down the mine. It was about visiting the people, having discussions with them and letting them know that their government is with them,” he said.